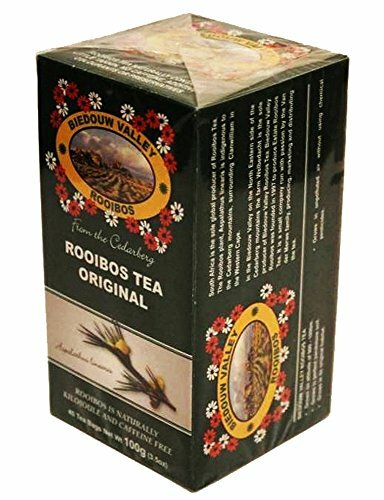 Rooibos Tea: 100% Natural Original South African Red Bush Healthy Herbal Tea - Caffeine Free, Calorie Free, Antioxidant & Mineral Rich (40 Bag Count 3.5oz). Grown At High Altitude in Natural Habitat. 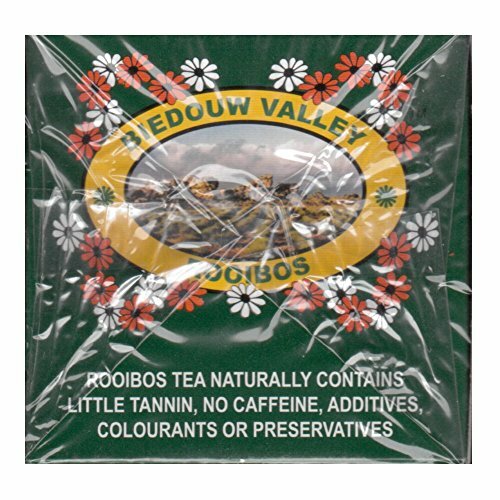 THE REAL DEAL: Biedouw Valley Rooibos is an Award Winning* tea enjoyed by South Africans every day. HEALTHY: Calorie & Caffeine Free. Rich in Antioxidants & Minerals. No Colorants or Preservatives. 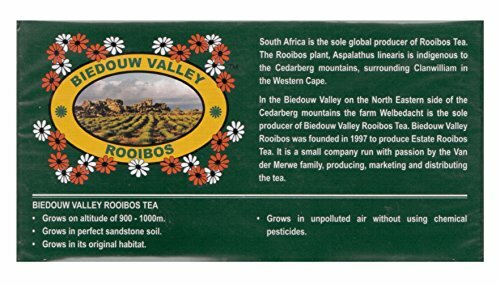 PURE & NATURAL: Grows at High Altitude in Natural Habitat & No Chemical Pesticides = Better Quality. 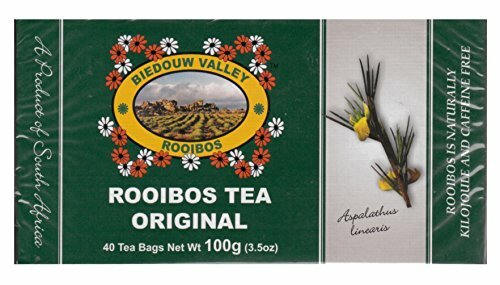 FRESHLY Packed at Source and Shipped Directly from South Africa. 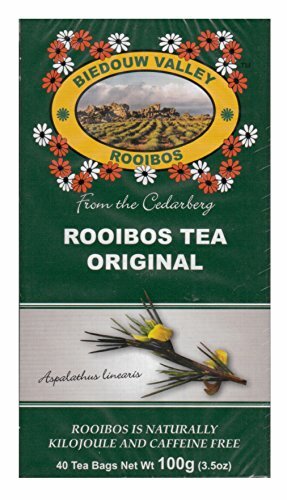 Rooibos teas by the best, at their best!